If you’re looking to increase the visitors to your website, then you’re definitely in the right place. 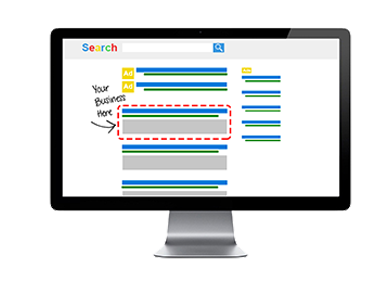 At Jammy Digital we help business owners like you to dominate the first page of Google search results. But why is this important? Because ultimately… more ‘relevant’ web visitors = more paying customers. SEO or search engine optimisation is the process that we use to give your website a turbo charged boost up the search engine rankings. To do this we help optimise your website in way that makes it more appealing to the search engines and more attractive to your customers. Did you know that ‘Google’ is now a verb? Have you ever said the phrase ‘just Google it?” That’s how powerful Google has become. Everyday, your ideal customers are using Google and other search engines to find products and services that you offer. Did you also know that 70% of the people who use search engines never scroll past the first page of search results? This means that if you’re not on page one for your main keywords, many customers won’t even know you exist. Manchester has been named one of the entrepreneurial hot spots of the north and there’s no need to guess why. This great city comes third in the country (behind Birmingham and London) for the number of new business start-ups each year. We’re here to help new and existing businesses in and around Manchester shoot up the search engine rankings and ultimately gain more sales. So whether you’re a local business or interested in a national campaign, we have the knowledge, experience and, quite frankly, the track record, to get your business to the top of those all-important search results. We will research the specific phrases that your customers are using when searching for your services or products online. These phrases are known as “keywords” and it’s extremely important that we find the right keywords for your website. It’s no good optimising for words your customers don’t search for. 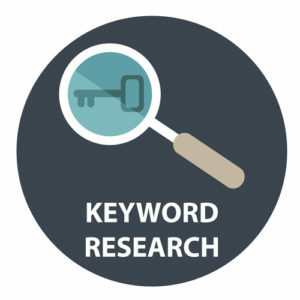 Once this is complete we will provide you with a comprehensive and informative list of keywords related to your business, along with the number of people per month who search for those specific keywords. This then gives you an idea of what to target. A lot of businesses skip this part but we find that keyword research is the foundation to SEO. You would not believe the surprising results we’ve had and from that the keywords we’ve targeted. And the best thing? Your competitors won’t have spotted them! 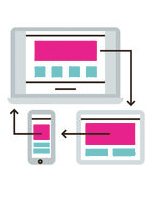 Broken links, 404 errors, and sites that aren’t mobile friendly. We’ve seen it all. And if you’re site isn’t healthy, Google is not going to like it. We go through your site with a fine tooth-comb and aim to fix any issues that we encounter. We will also go through the different pages on your website ensuring the content is optimised for the most relevant keywords. Ranking highly in search results is nearly impossible without building a strong brand authority around your website. To do this we will reach out to other relevant websites in your market in an effort to build high quality links back to your site, this process will help increase the overall value of your website. This may include social media links, directories and guest posting on other relevant websites. Why hire us to manage your SEO? In the dawn of the internet, many businesses were lucky enough to set up a website and make money with little to no investment in marketing (beyond the website creation). But this is no longer true. Competition on the internet is incredibly fierce and SEO should be considered an integral part of your marketing. There’s no use having a fancy-pants website, if no one can see it. SEO is a tricky business and it’s taken us years to perfect a system that works every time for our clients. We see people coming to us, having attempted SEO themselves or who have hired an inexperienced company, with dismal results. What’s worse is having business owners come to us having tried cheap, black hat methods and found it’s only damaged their site further. We have over ten years experience in Search Engine Optimisation. Our reputation is everything, which is why we have a proven track record of happy clients, all on page one of Google for their chosen search terms. Effective SEO is about increasing your website’s visibility, getting more customers and providing a real return on your investment. To find out more about how we can help you get in touch today for a free consultation.